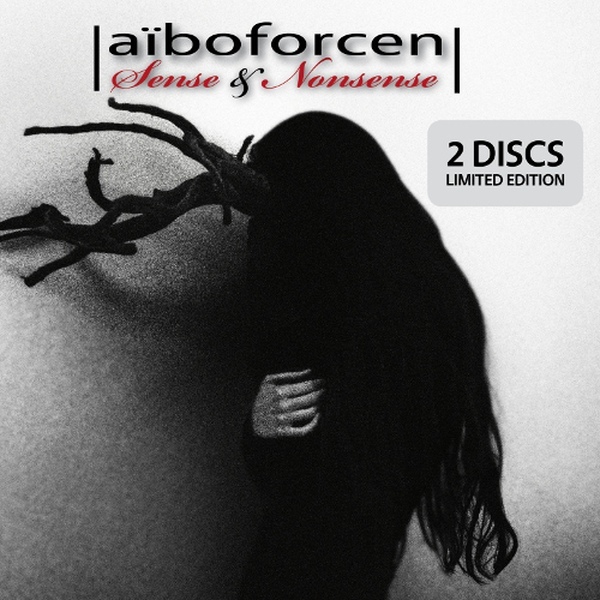 It’s 7 years after the last “Dédale” album, that Belgium’s cult dark electro act AIBOFORCEN now returns with their 6th full length album “Sense & Nonsense”. Starting straight into it with what could be AIBOFORCEN’s best song ever, the poignant and electric “We Woke Up The Dragon” features the extraordinary vocal talent of Jean-Luc De Meyer (FRONT 242, 32CRASH, UNDERVIEWER, etc.) who lends his unique voice on not less than 3 songs on this album, including a surprising upbeat EBM cover version of FRONT 242’s “Loud” and the more atmospheric and darkish “The Arrival”. Other noticeable appearance comes from Damasius of label mates MONDTRÄUME for a catchy melancholic future pop track. Besides 2 lingering noir pop songs beautifully fitting the highly expressive and emotional voice of Mari Kattman, AIBOFORCEN also take a harsher and more aggressive road through uncompromising powerful collaborations with MILDREDA, VENAL FLESH and KANT KINO. The limited edition of the album comes out with a 13-track bonus disc entitled “An End Unto Itself” revealing some 3 exclusive non-album tracks including guest vocals by JUNKSISTA and LOVELORN DOLLS front-girls, plus own reinterpretations of 3 other album songs. Add to this the amazing remix works by selected artists in the likes of Daniel B. PROTHESE, DIFFUZION, IMPLANT, AESTHETISCHE, NEIKKA RPM, PSY’AVIAH and KILMARTH. Tracklisting CD2: "An End Unto Itself"